Select the premium size of your choice of ForYourParty's Happy Place Entertaining Set and style your powder room with this cute hand towel set or give as a thoughtful and chic home gift fitting any occasion. Looking for a unique gift idea that will be perfect for all your special someones—especially as holiday gifts? Look no further than ForYourParty’s powder room sets! Available in 3 different combinations, you can select the powder room gift right for you. 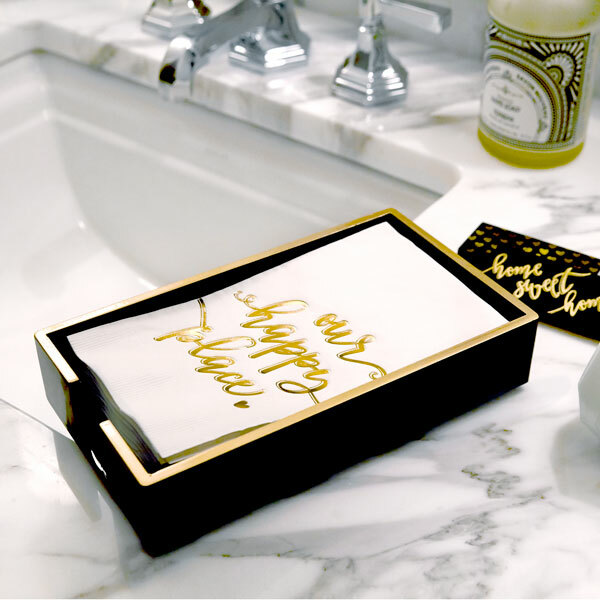 The Happy Place powder room gift set includes "Our Happy Place" hand towels and coordinating candle matches with gorgeous gold foil. 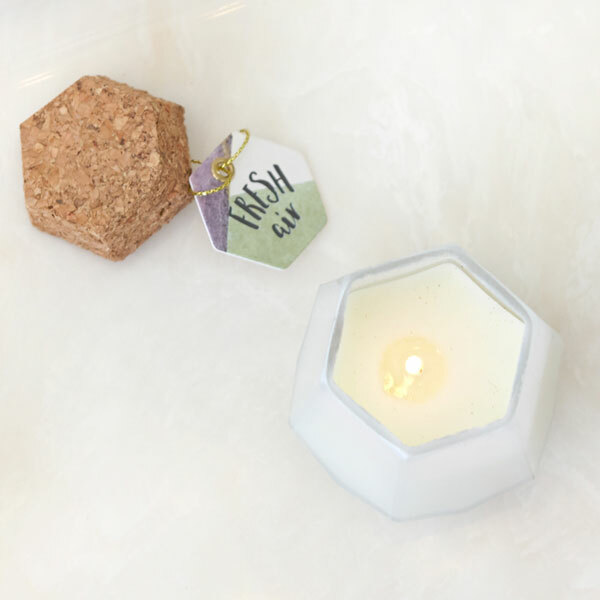 Choose to include either a Paddywax candle (with a reusable holder!) or a sleek black lacquered wood towel tray. Can’t decide? Opt for the Deluxe gift set that includes both the candle and the guest towel tray! A great quick gift idea, the Happy Place bathroom set is sure to please several people on your gift list this year! It is also just right for gifting to your own restroom for a beautiful home touch. Happy Place powder room gift sets for any upcoming bridal shower gifts, hostess gifts, birthday gifts and housewarming gifts on your gift giving calendar. In a time crunch? With same day shipping offered on all gift sets, your gifts will be on their way to you before you know it! Order several extra powder room gift sets for those impromptu gift giving moments that come up throughout the year. You’ll like the Happy Place powder room gift sets so much that you should probably order one for yourself, too! *This product must be ordered before 2 p.m. CST in order to ship same day.